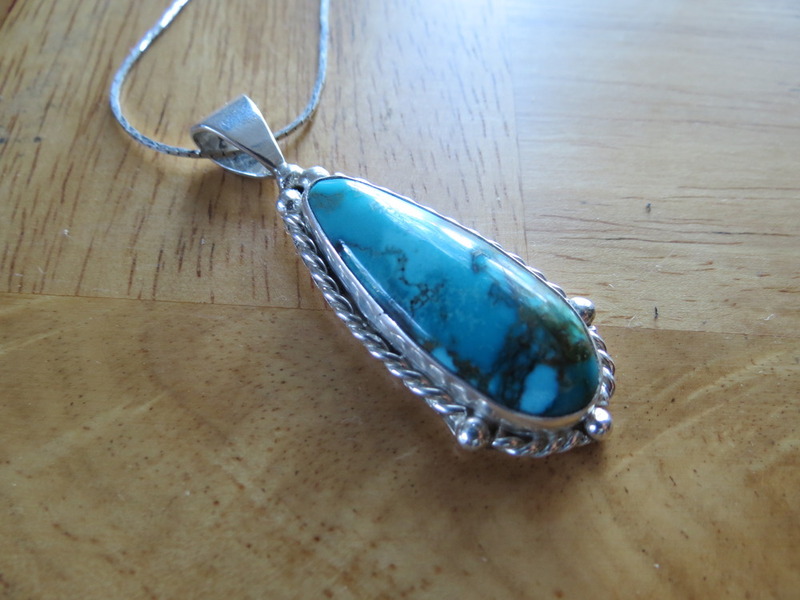 Recently, I have been going to Gaumer’s jewelry store in Red Bluff, and there I met one of the silversmiths, who, after showing him some of my work, agreed to give silversmithing lessons in his private workshop at his house. 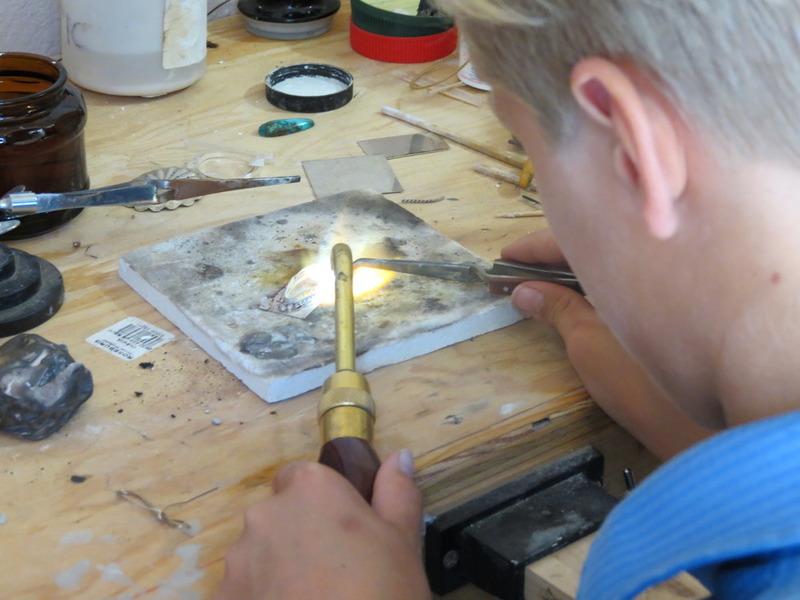 It was scheduled last Saturday, and when we got there, we began silversmithing right away. The feeling was not really of an exciting new thing, but not at all boring. It felt like… it felt like I was familiar and used to it, even though this was technically my first time. 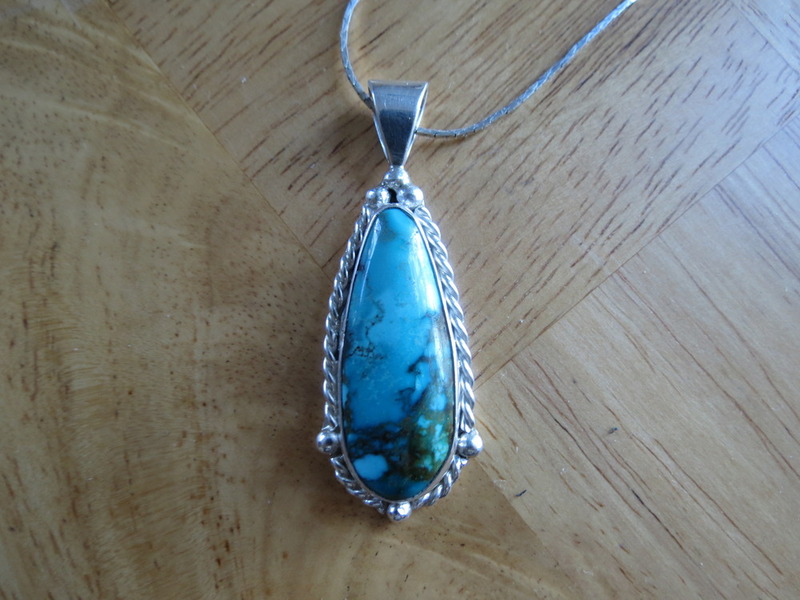 Anyway, we got there and I chose one of Mr. Jim Wade’s pieces of turquoise, cabbed it, and we began silversmithing. 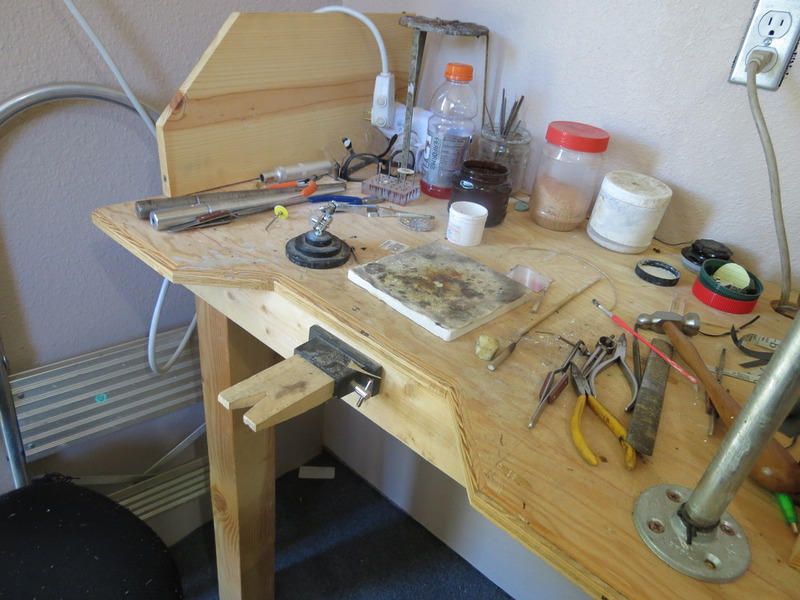 I was a little clumsy at first, but after a little while I was zipping through the Soldering. 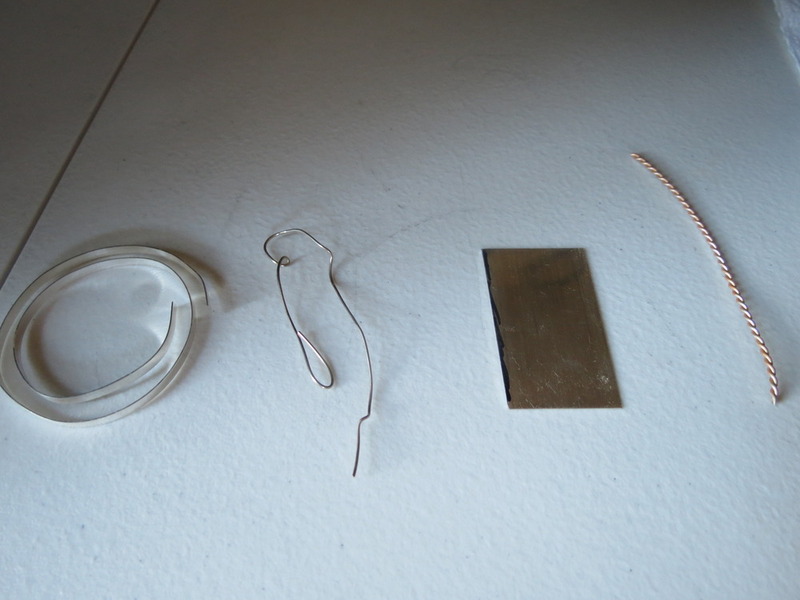 Pictured above is the result of my work, the process, and the supplies that went into the work. 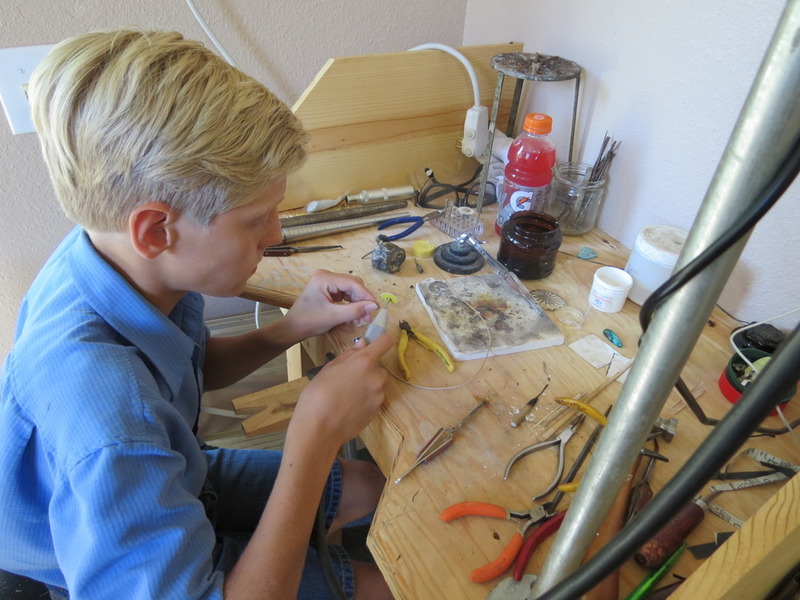 This entry was posted in Uncategorized and tagged Jim Wade, Silver, Silversmith, Solder on July 5, 2012 by Captain Belaq. That looked really interesting. Your end result is really beautiful. Is that the one you gave your mom?